A small 3.5% downpayment requirement for purchases & no reserves are required. Meaning, if you meet all other requirements, you won’t need to prove that sufficient funds to close have been sitting in your bank account for the last 60 days. FHA allows some or all of your down payment monies to be gifted from a family member. These funds cannot be a loan. The seller is allowed to contribute up to 6% of the purchase price to pay towards your closing costs. The 2009 loan limit for a single unit property is $400,000 for Clark County - Las Vegas, Nevada FHA. In October 2009, a bill was passed into law allowing the previously temporary increase of the FHA loan limits to be extended through 2010. That extension of the increased loan limit expired on January 1, 2014. The current loan limit for an FHA loan in Clark County is $287,500. Specializing in Las Vegas FHA Mortgages, I have access to the loan limits that apply to your area. For additional loan limits and qualifying debt ratios, please contact me in Las Vegas at (702) 271-1274. I am local to the valley for almost 30 years. FHA requires that upfront mortgage insurance is paid which can be financed in with your loan amount. In the event that you refinance your FHA loan into another FHA Streamline loan, then you may be eligible to receive a mortgage insurance refund on your refinanced closing costs. FHA also requires monthly mortgage insurance payments. The monthly mortgage insurance payment must continue for at least 5 years regardless of your loan to value percentage. Both these fees help FHA remain in business since FHA is not federally funded. A major upside is the rates are very favorable even with lower credit scores and FHA is currently the only program offering up to 96.5% for purchases and refinances with no cashout. Las Vegas FHA Cash Out Refinances are restricted to 85%. Mortgage Insurance is always required whenever you borrow more than 80% of the home's appraised value. After you've paid the MI for 5 years and your loan balance is at 79.99% or lower of the homes appraised value, you may cancel your monthly mortgage insurance. Or you may refinance out of that FHA loan to remove the mortgage insurance. FHA will also require you to escrow your monthly taxes and insurance with your lender. Meaning the lender will collect your taxes and insurance from you via your monthly mortgage payment and then they will disburse the funds directly to your insurance company and tax official's office to pay those bills for you when they come due. You do not have an option to escrow or not escrow your taxes and insurance. This must be included in your FHA loan. You may hear conflicting information regarding minimum credit score requirements. FHA guidelines are not credit score driven, however, the lender you fund your loan through will be imposing their own additional guidelines and right now those are requiring a borrower have a minimum 640 mid-FICO score. Lenders have slowly increased the 620 credit score requirement to 640, so please be aware. You will also need to make sure that you don't have any derogatory or late payments reported on your credit report within the last 12 months. They look for a 24-month history of job stability and a 12-24 month history of payments being made on time. You may also hear incorrect information that FHA doesn't care about bad credit or they may be the alternative to bad credit lending. This really is not the case and should be explained further. FHA underwriters understand that people run into bumps in life that can cause temporary financial stresses. FHA doesn't flaunt that they insure loans to people who are currently going through financial struggles. With that being said, FHA rewards those that pull themselves out of their temporary financial crisis and can show a 24-month history of paying on time with NO late payments. A person who is struggling now isn't quite ready to buy a home. Also, a person that has never taken credit seriously is not ready to be a homeowner. The idea is that you can explain why you had the struggle and what caused the bump in the road and then demonstrate through 24-month credit history that you have corrected the problem and will not allow it to happen again. The lender will also be looking for compensating factors if your credit report has a bad history. Types of compensating factors include long time employment with one company, recent certification advancing you in your field of work, savings in the bank, a strong co-borrower, etc. Everyone's case will be different. And for those not quite ready, there are people out there who will help explain credit to you and give you advice on how to repair years of damage. It takes time to do so, but the reward of home ownership is well worth it. 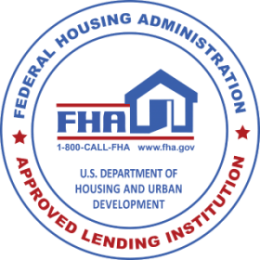 Another thing to consider before setting your sites on an FHA loan is that the lender will have to adhere to strict debt to income ratios. You must be able to prove that your income can pay for all of your existing debts plus the new house payment and stay within a strict ratio. To discuss your scenario more or find out what your debt to income ratios are, call me and I can calculate this ratio for you. In cases of no credit history for the last 24 months or not enough, FHA will accept non-traditional credit lines. Examples of non-traditional credit lines are payments made to utility companies (television, power, water, gas, home phone), auto insurance, cell phone companies, furniture companies, etc.